This playful fellow was created to mix or match with the Turtle children but can well stand alone. 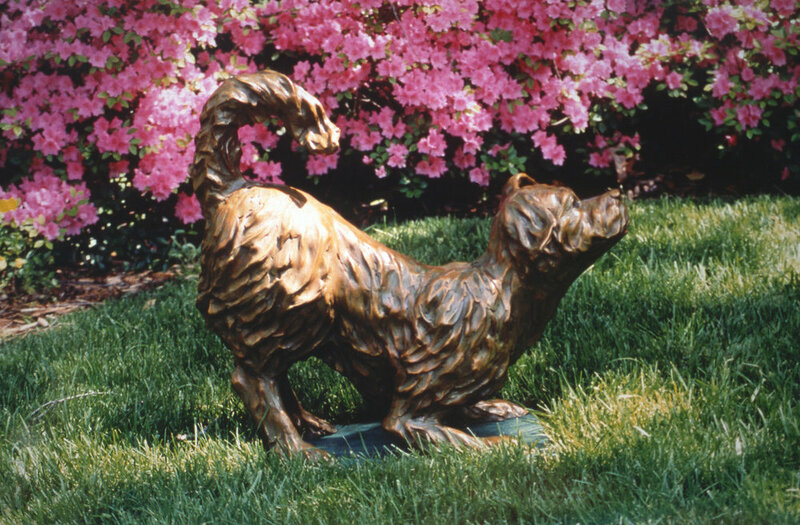 This playful pup was created to be an interactive garden sculpture with children or adults. It might be placed below a bird bath or bird house as a bit of humor as well.